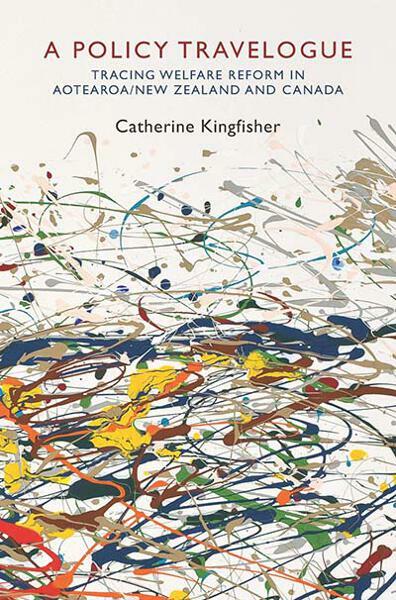 Policies have their own lives, and these lives are not “a-cultural, rational, and straightforwardly technical,” puts forth Catherine Kingfisher in her volume, A Policy Travelogue: Tracing Welfare Reform in Aotearoa/New Zealand and Canada, published in September. Following is an excerpt from the monograph’s Introduction in which the author sets the scene for her discussion of how policy lives within welfare reform in two distinct countries. Translation, then, occurs as new governing frameworks emerge at particular historical junctures to transform how the world is constructed. This means that we need to attend to translation and assemblage across time as well as space. In both Aotearoa/New Zealand and Alberta, old models were transformed into new ones as objects—poverty, mothering, work, the poor—were retranslated in the light of new knowledges, new understandings of the nature of being human and of how the world operates, or should operate. Second, I explore translation as it occurred in the spaces through which the NZ Model moved from Aotearoa/New Zealand to Alberta, focusing specifically on the selectivity and power plays engaged in by the various players on both sides. These two lines of exploration provide the frame for chapter 1, in which I focus on official policy production, tracing it though policy documents, community service reports, media, and scholarly reflection and analysis. I explore the emergence of the NZ Model in Aotearoa/New Zealand, its travel from Aotearoa/New Zealand to Alberta, and the outcomes of this travel for policy formation in Alberta as processes of translation and assemblage across both time and space. Situating the emergence of the NZ Model in Aotearoa/New Zealand and its indigenization in Alberta in the context of the unique welfare histories and cultural formations of each site, as well as in relation to the agendas of those both selling and seeking out the NZ Model, I focus on the transformations that inevitably accompany policy travels and explore the simultaneous construction of divergence and convergence with respect to a global neoliberal policy regime. In chapters 2 through 4, then, I move to more territorially solid spaces of policy production: welfare offices, community service organizations, and the lives of poor single mothers. I chose as my research sites two small cities: Kingston, in Aotearoa/New Zealand; and Riverview, in Alberta. * Neither site is a metropolitan center—Kingston has a population of roughly 120,000 and Riverview 90,000—and neither is a location of official policy making. Situating myself in Riverview and Kingston thus provided an opportunity to address a gap in the policy and welfare reform literature related to scale by exploring how policies constructed in urban centers articulate in mid-size centers. This focus serves to balance the prevailing emphases on large metropolitan areas in current research on neoliberalism and restructuring. In chapter 2, I focus on the work of policy providers employed in the Riverview and Kingston welfare offices. As the executors of policy, welfare providers are the means by which new policy practices and the ideas informing them are put into place. Located in the borderland between the bureaucracy and the population it is designed to serve (and police), welfare providers are situated differently from policy élites, who neither interact directly with clients nor administer policy; they thus have different kinds of knowledges of how the welfare bureaucracy operates and of some of the determining features and vicissitudes of clients’ lives. Providers translate policy mandates in light of these knowledges, assembling approaches to policy and to their clients that reflect the articulation of policy with the requirements of their institutional locations. These assemblages depart from as much as replicate official mandates and frameworks. Circuits of policy movement and translation are comprised not only of government élites and official providers, however, but also of an unofficial, amorphous constellation of providers working in a range of non-governmental organizations. Occupying a different kind of in-between space than welfare providers, community service providers assist clients in navigating the welfare bureaucracy and provide extra social and material support in an attempt to fill in the gaps left by deficient systems of official provision. In chapter 3, then, I explore community service providers’ translations of welfare policy in the context of their institutional and societal locations. These locations provide unique positionings vis-à-vis both the state and welfare clients, offering different kinds of knowledge that articulate with agendas that serve to simultaneously criticize and buttress state interests. Finally, in chapter 4, I turn to the translation and assemblage work of poor single mothers, exploring their engagements with dominant ideas embedded in policy concerning work, motherhood, independence, poverty, and the proper configurations of person, state, and society. I emphasize the women’s uneven, contradictory articulation of the claims informing welfare reform and workfare, as they interact with policy on the basis of their own knowledges of parenting, employment, and relationships with men, coupled with the various (and often contradictory) interpretations of policy they receive from welfare and community service providers. I explore in particular how poor single mothers translated even that which they absorbed most uncritically (ideas about independent individuality, and about women’s role as mothers) in ways reflective of their situated knowledges, in the process transforming the objects of absorption into something slightly, and, in some cases, radically different from what was intended by policy makers. *Throughout this book I use pseudonyms for towns, community service organizations, and research participants. Although statistical and sociodemographic data are accurate, sources of official documents and reports on Riverview and Kingston have also been disguised. Catherine Kingfisher is Professor of Anthropology at the University of Lethbridge. She is editor of Western Welfare in Decline: Globalization and Women’s Poverty (2002) and author of Women in the American Welfare Trap (1996). Her research focuses on policy, governance, personhood, gender, and, most recently, happiness and well-being.